When it is showering outside and the temperatures are dropping faster than I fall asleep, it is absolutely pointless to deny the rule of fall. It is officially here, which means we have to ban our light shirts and floral skirts until the next year. No need to get upset – there is always something we can trade our summer outfits for. For example, a saucy coat that will not only keep you warm, but also make the hot guys and jealous ladies turn their heads on the street. 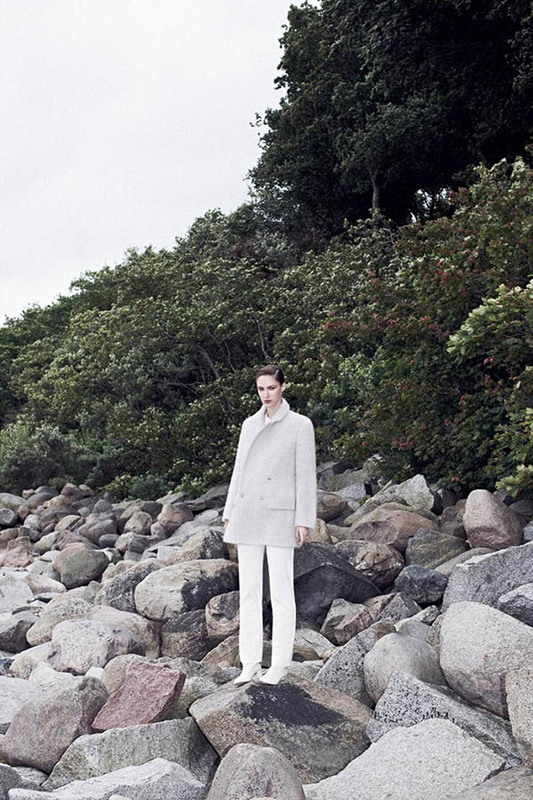 One way to lighten up your days is to check out Fall 2013 ad campaign by Emeza. German online fashion retailer offers four looks that are worth being checked out. Don’t even hesitate to spend some time clicking through the pictures. At least, you will know what it offers and whether it fits your style or not. Model Franzi Mueller stars in the ad campaign. The beauty poses against a natural backdrop featuring ocean waves, bare cliffs and rich fauna. Nicolas Kantor lensed the shots and did it quite well. Jenna Biberstein styled the looks, while Natalie Franz should be praised for the make-up and hair. For the campaign, Mueller sports stylish outfits by BLK DNM, Calvin Klein, Raoul and Veronique Branquinho. The colors here are very moderate – no wonder, it is all about fall and winter, after all. White, black and copper brown are the shades presented within the campaign. I like how Franzi’s sleek hair goes with the elegant outerwear pieces she dons. You won’t spot a great variety of accessories or embellishments, but this is exactly what makes the featured outfits so desirable. Browse through the gallery and choose the coat to take place in your closet.